China Glaze 'Tis the Season Holiday 2010 is proving to be a wonderful collection of shades and finishes for the Holidays. Today I have two more shades to share with you, and also to give away! 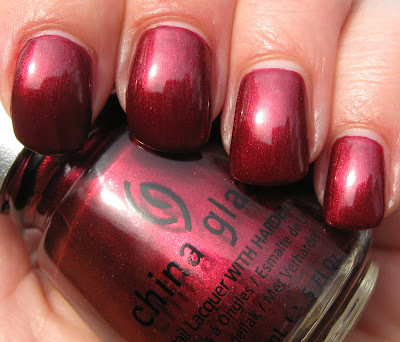 Phat Santa, a perfect cherry red creme with a near-jelly finish, and Mommy Kissing Santa, a shade that looks pretty yet predictable in the bottle--but this one is much more beautiful than what its bottle image portrays. 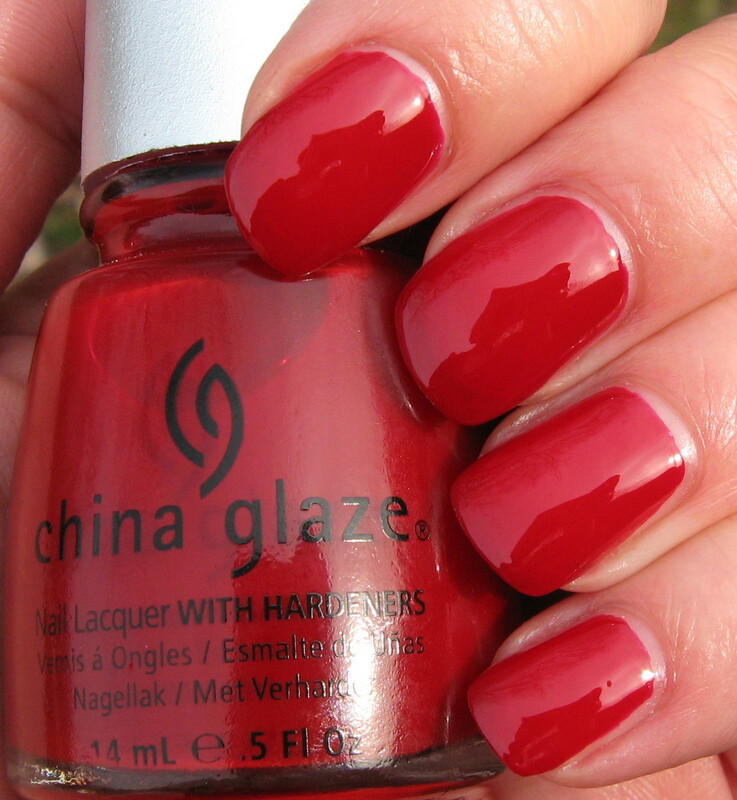 Above & Below: Phat Santa not only has a great name, but it's also a perfect 2-coat red creme. The formula on this one was perfection, as they all have been so far. Ultra high gloss, jelly-like traits, festive--Phabulous. Photos were taken both indoors with a flash and outdoors. 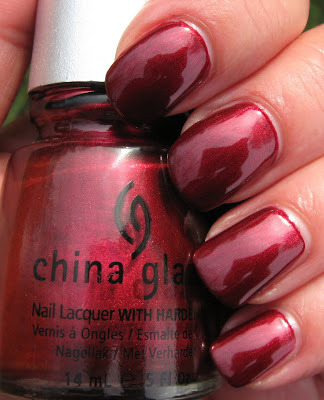 Below: Mommy Kissing Santa looks like your typical burgundy or deep red shimmer in the bottle, but when this one breaks out of its bottle confines, it really comes to life. It has a slightly blackened base and a beautiful glow. Again, 2 coats and an excellent application. 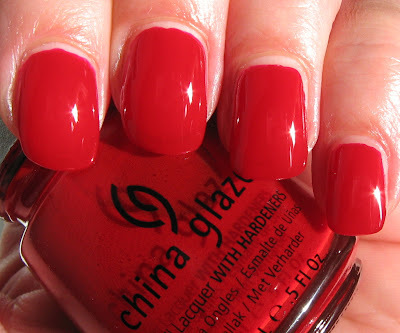 Very nicely done, China Glaze! What do you think of these shades? I adore Phat Santa because of how nicely it applied, and Mommy Kissing Santa has me captivated with its delicate shimmer and gorgeous glow. If you'd like to enter to win both of these polishes, just leave your eMail in the comments below. I'll accept entries until tomorrow (Friday) at midnight, and the winner will be announced Monday. *Featured products were furnished by the manufacturer or PR firm for review. If I have to choose between them...hardly,they are both gorgeous. 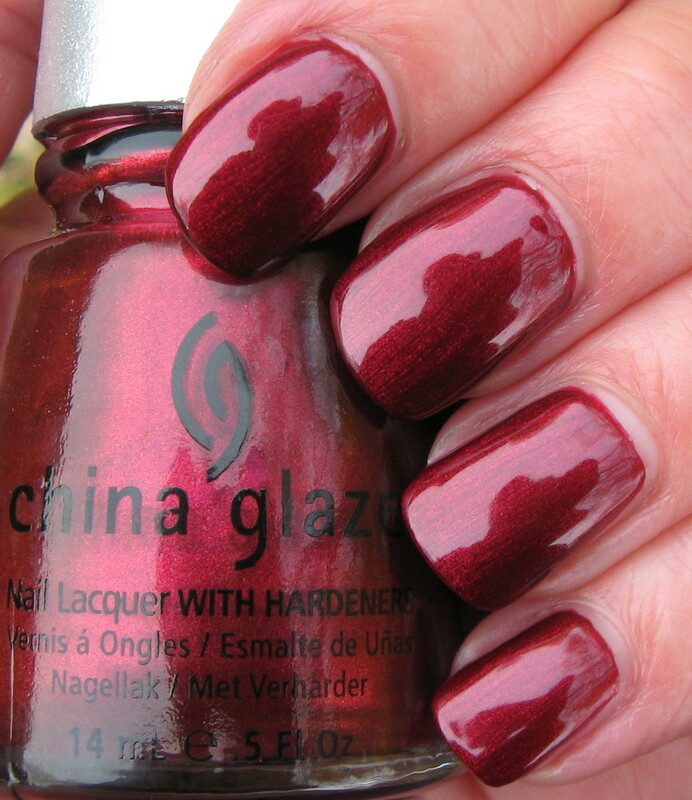 Email is nailcrazy69@gmail.com...and I'd really like to win this one :-) Thanks for the oportunity! so pretty. mommy kissing santa has my heart i think. I`d love to enter this give-away pls. I love these two polishes. Phat Santa is one I really love. Please enter me in your giveaway. Thanks so much Mary. Ooo, I love both of them, but especially Phat Santa. I love the hint of jelly-ness! Thanks for the many giveaways! Count me in your giveaway please. 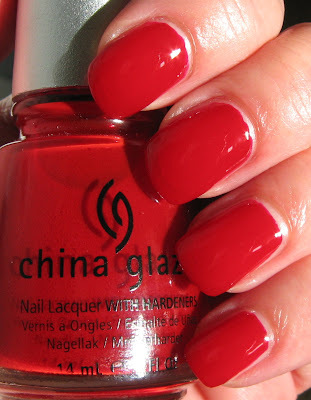 I love reds! I want them both so bad! I love blackened reds, so Mommy Kissing Santa looks fantastic to me! I love reds too, so I'd me more than happy to have these! 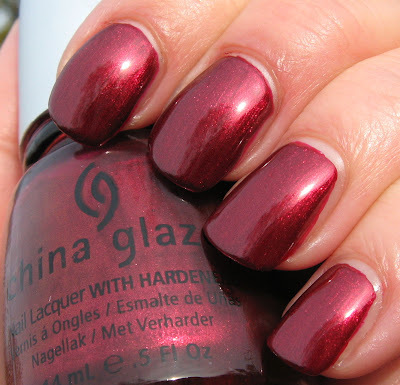 I don't usually go for reds, but Mommy Kissing Santa is gorgeous!